I find myself in Richmond again for Richard Wolak’s Taco Challenge. This time the entry I’m judging is from American Grille. This eatery is centrally located in one of Richmond’s busiest intersections, making it a local hub. Their Pacific Northwest menu offers fresh and locally sourced fare. For the Vancouver Taco Challenge, American Grille’s chef Jaspere Regaldo has created a dish with a strong Asian influence. Introducing the Wanna Taco ‘Bout It – this dish is reminiscent of Taiwanese Gua Bao Buns. 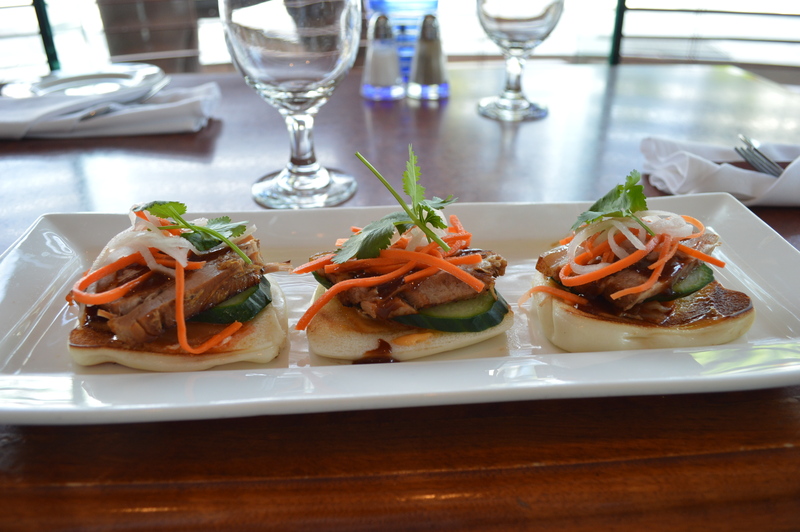 It consists of braised pork belly, BBQ Hoisin sauce, Sriracha aioli, kimchi, pickled daikon, cucumbers and carrots on a steamed bun. This dish fits the culinary geography of the area. 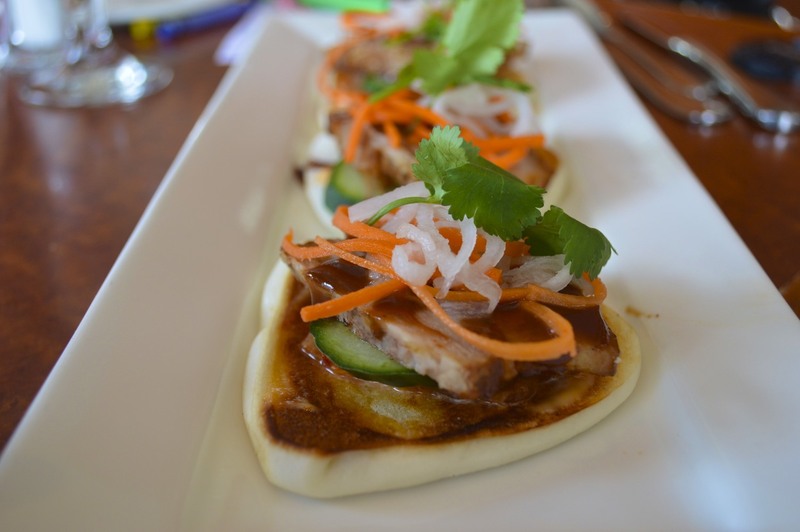 The Hoisin sauce brings a light sweetness that compliments the pork belly. The Sriracha aioli gives it a nice light spice. The Wanna Taco ‘Bout It is available anytime, and is $16 for three tacos. You can vote for them here.